We are hearing more and more about advancements in self-driving car technology and how it will revolutionize the way we get around. But what will the implications be on how (and if) we pay for car insurance? 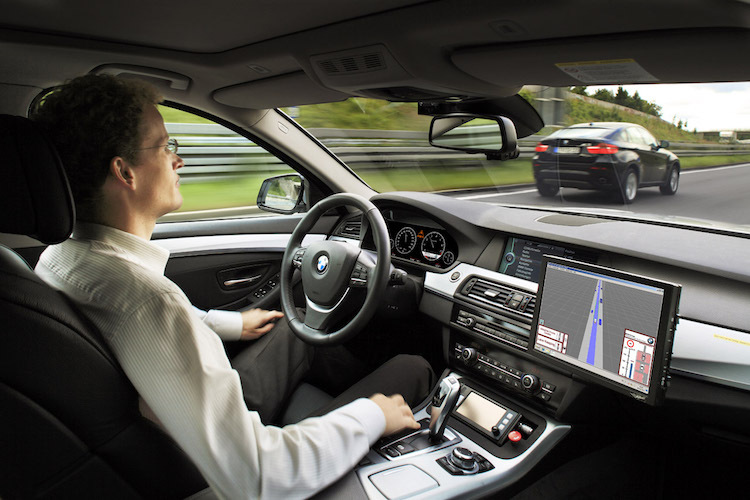 Advisory firm KPMG recently released a report detailing the impact self-driving cars will have on the insurance industry, and whether or not monthly premiums will become obsolete. While they foresee the size of the industry decreasing – as autonomous drivers are expected to be smarter and safer than their human counterparts – they also predict that companies who are positioned to adapt will see much success. As the first-movers in technology that allows segmentation of trips and the ability to base premiums off of exact mileage, we believe we will be one of the select few able and ready to conform to this rapidly changing automotive landscape. 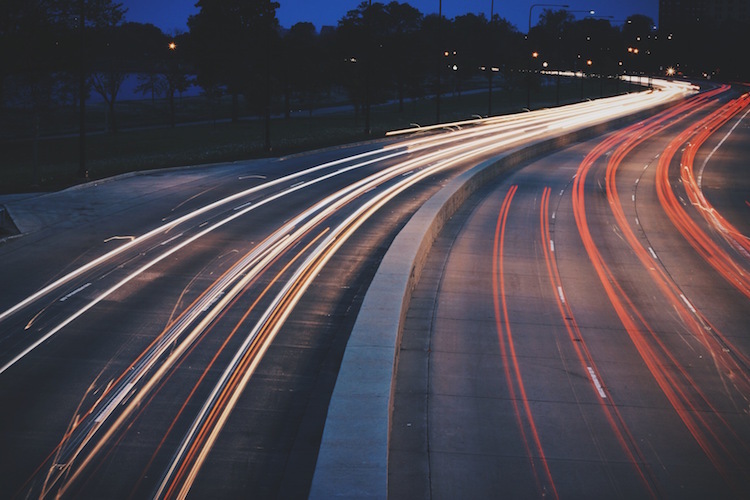 Many believe that the introduction of self-driving cars to consumers will bring about the most significant change to the automotive industry since its inception. One of the main reasons for this is the impact of autonomous car technology on safety. While the concept of self-driving cars may seem far off, we are already seeing early advancements in safety technology. The buzzed-about Tesla S has features such as lane drift detection, where the steering wheel vibrates if the driver changes lanes without signaling, and automatic emergency braking, where sensors will detect if a collision is impending and brake automatically. Tesla also recently rolled out the long-awaited “Autopilot” software, using sensors to keep the car within a lane, maintain a safe distance between cars and even change lanes. While the driver’s hands are still required to be on the wheel, as the efficacy of these innovations is proven, a hands-free future will be imminent. And as these features are vetted and become more accessible to consumers, there will likely be a reduction in accidents and number of claims filed. In fact, the report predicts that if self-driving cars hit the road around 2020, there could be an 80% reduction in accident frequency by 2040. What about the other 20%? If these self-driving cars are destined to be so smart, what would account for anything higher than zero? The truth is, accidents will never completely go away. It would be great if self-driving cars could prevent themselves from the harm of Mother Nature, but we don’t anticipate that happening anytime soon. And maybe one day they will be able to deter thieves or the damage caused by humans, but again that’s unlikely. Insurance will still be needed, but premiums will likely be lower as the claim frequency will be drastically reduced. 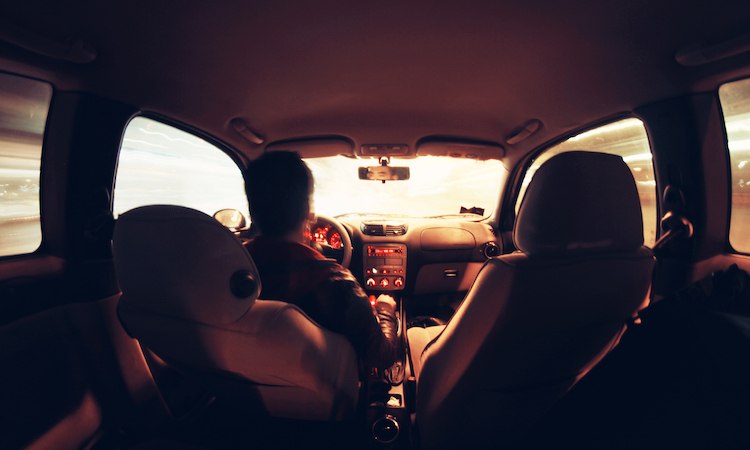 The report suggests that many insurance providers believe the adoption of self-driving cars is far off and are taking a “business as usual” approach, delaying any fundamental changes. But as our CEO Dan Preston says in the report, “nimble companies that offer innovative insurance products that address the needs of consumers in a rapidly changing driving landscape will be best positioned to succeed.” Here at Metromile, we are already able to segment trips for Uber drivers, identifying when they are driving for Uber (and therefore covered by Uber insurance) and when they are driving for personal use. This model is something that could likely be adapted as self-driving cars are introduced to consumers. 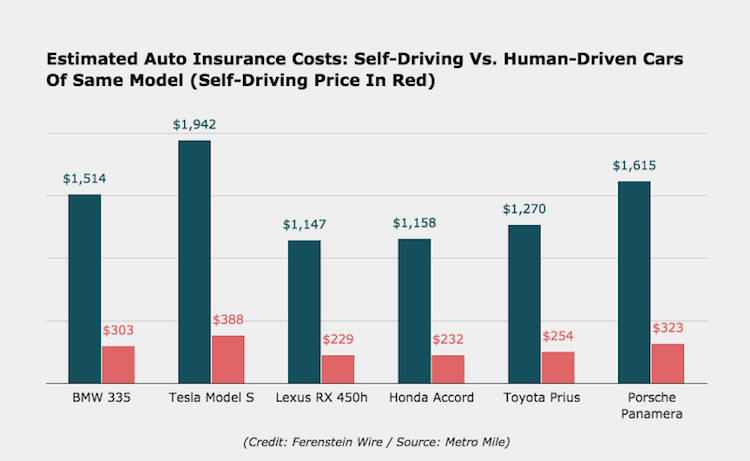 So if self-driving cars could be both safer and more affordable (from an insurance standpoint), what’s preventing an earlier introduction to consumers? The report suggests that there are eight key elements that will drive transformation: convergence of new autonomous technologies, capability accessibility, consumer adoption, improved infrastructure, regulatory permission, legal responsibility and mobility services. If you would like to dive in deeper to the elements that could drive change, download the free KPMG report here. There’s no denying it – introducing self-driving cars to consumers will spark a paradigm shift in the auto industry. But, as is typical for any groundbreaking innovation, there are some pushbacks that are delaying any “imminent takeover”. The government is slow to pass regulations allowing self-driving cars and consumers are wary of the implications. Are self-driving cars really that safe? And how expensive is a “robotic personal chauffeur” going to be? According to new research from Metromile and The Ferenstein Wire, these cars could save consumers $1,000 in car insurance every year. This might be the motivation needed to accelerate adaptation. Self-driving cars have a near-perfect driving record thus far, and the few times that they are involved in an accident, it’s typically a human at fault. Once we have welcomed these “futuristic” vehicles into our everyday lives, does the need for car insurance become obsolete? The answer is no, but it will be dramatically reduced. While there will be a near elimination of collision-related accidents (estimated at a 90% reduction), coverage will still be needed for things like break-ins, being hit by an uninsured motorist, and weather-related incidents. Our actuarial team here at Metromile developed an insurance pricing model which predicts consumers will pay an average of $250 per year with an annual savings of $1,000. The model is based on the typical driving record of someone licensed 20 years in San Francisco, driving 12k miles per year, and incorporates evidence from Google’s detailed accident report. Self-driving cars are still not yet legal for consumers, but you can expect to see some traction as their safety and value continues to be proven. Here at Metromile, we are positioned to adapt our per-mile insurance model as these autonomous cars are introduced to the general public. Because we are able to segment periods of time (like with our Uber partnership where we can identify if a driver is driving for Uber or personal use), we’ll be able to help distinguish between when a car is controlled by a human or a computer. And if per-mile insurance is truly a future-proof concept, why not get started and start saving money today? Learn more at metromile.com/insurance.